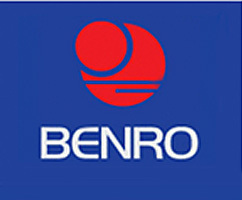 The Benro GoPlus FGP18C combines a multi functional design with a weight suitable for travelling. 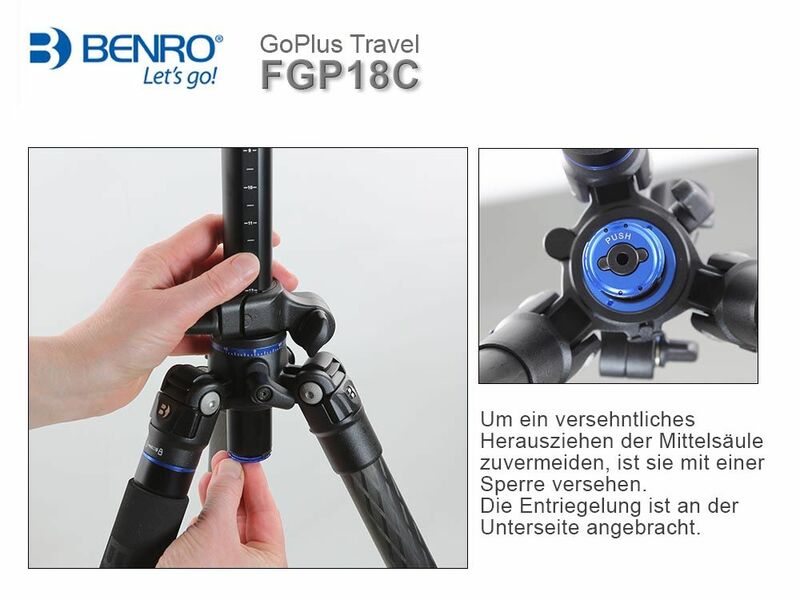 The most special feature of the Benro GoPlus FGP18C certainly is the inclinable centre column that can be switched to a horizontal position in next to no time. It can even be turned completely upside down, so a set up near floor can be obtained without moving the whole tripod. Doing so, the centre column still can be paned over 360°and the length remains adjustable. 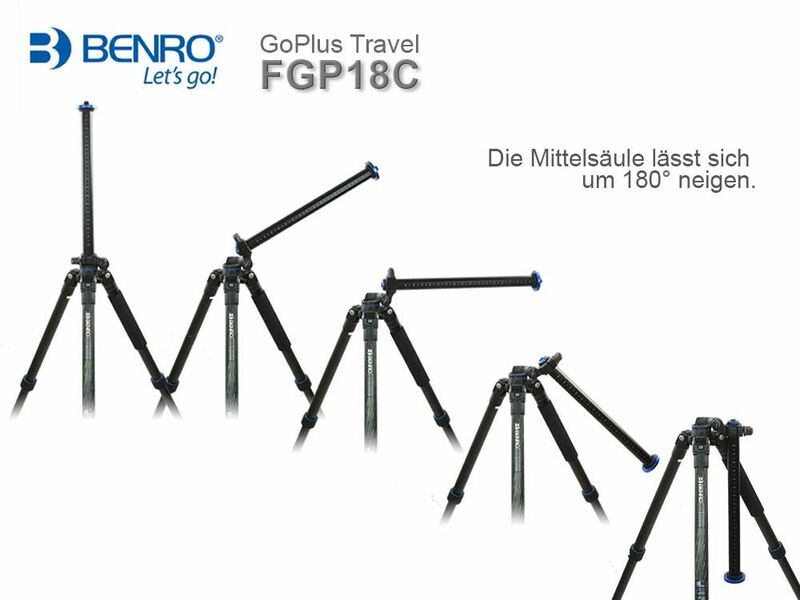 The legs can be flipped over 180° which enables a short packing size. 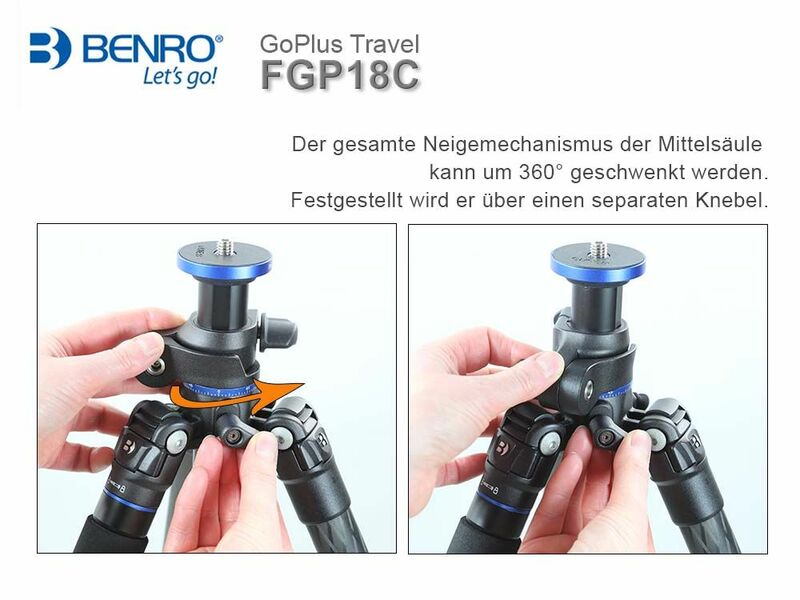 Another bonus feature of the Benro GoPlus FGP18C is the possibility to unscrew one leg and convert it - in combination with the centre column - to a monopod. 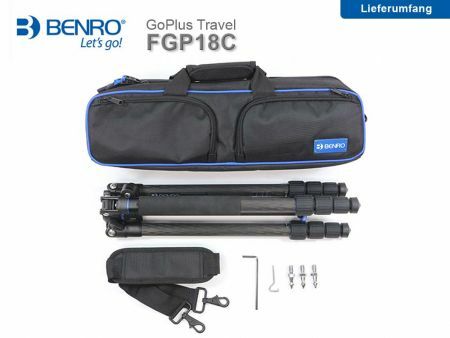 Nevertheless the weight remains with 1.330 kg comfortably light and very suitable for travelling. Embedded in the shoulder of the tripod is an additional 3/8“thread by which accessories can be attached. The delivery content includes next to a centre column hook also spikes, which offer a good grip on soft ground or snow and ice. The aluminium version of this tripod is the Benro GoPlus FGP18A. 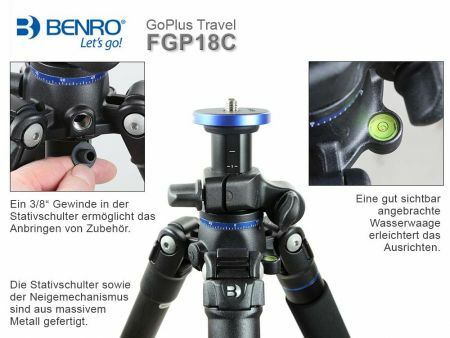 If you are looking for a higher tripod that offers the same features, the Benro GoPlus FGP28C is the right choice. 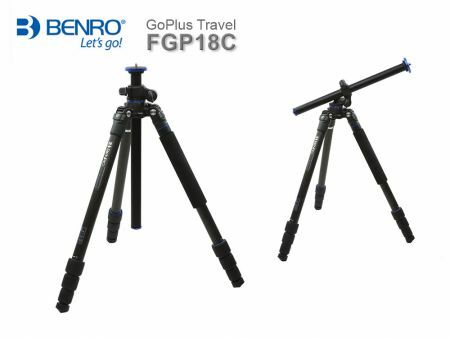 This Product was added to our catalogue on Thursday 15 September, 2016.